Ships today if you order in the next 9 hours 26 minutes. Quercetin stabilizes cell membranes and calms mast cells, which store histamines. As this strengthens the mast cell membranes, the amount of histamine in the bloodstream decreases. The result is that it may support your ability to enjoy outdoor activities. Quercetin can be activated with bromelain, a pineapple enzyme, which adds potency and may assist the body in stressful times. Magnesium ascorbate can also be added, as nonacidic vitamin C may have a synergistic relationship with quercetin that improves its usage in the body and supports the immune system. 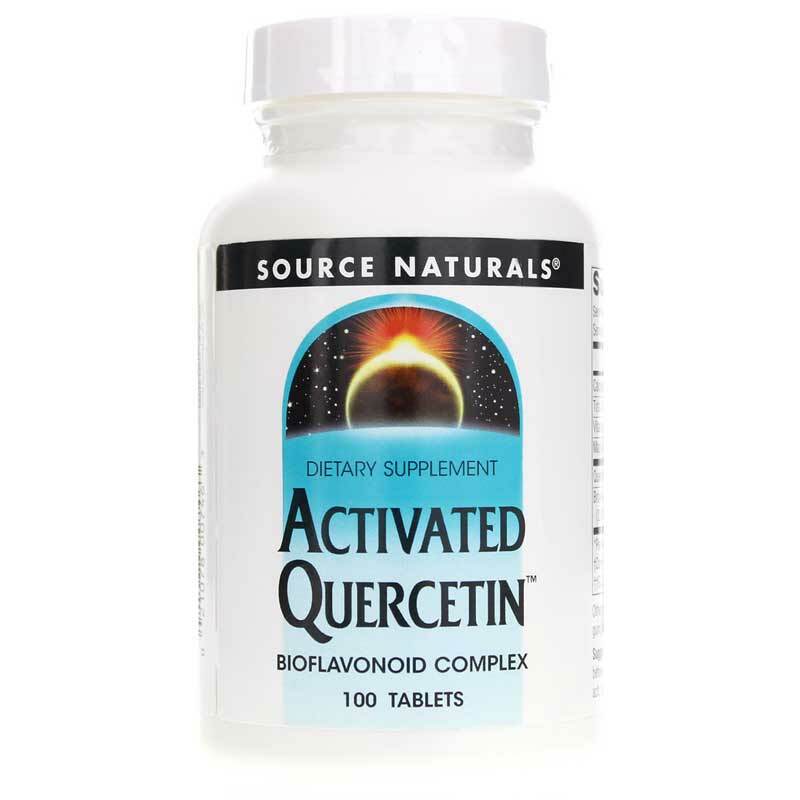 Source Naturals uses these compounds in its Activated Quercetin, a bioflavonoid supplement that supports healthy histamine levels, helps manage seasonal discomfort and supports immune function. 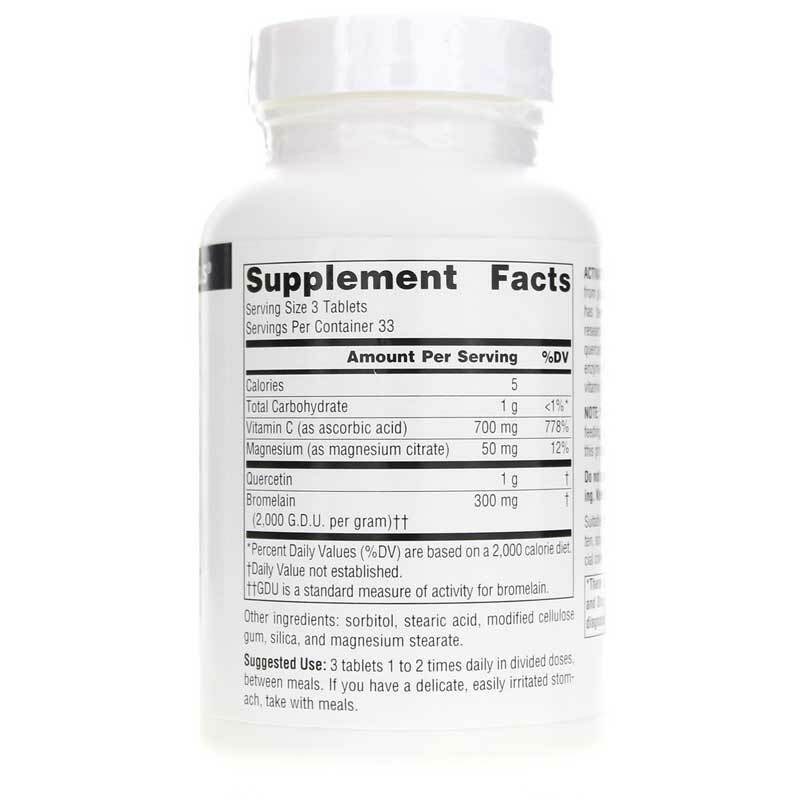 It is suggested that this supplement be taken on an empty stomach. Activated Quercetin contains no yeast, dairy, egg, gluten, soy, wheat, sugar, preservatives, or artificial color, flavor or fragrance. 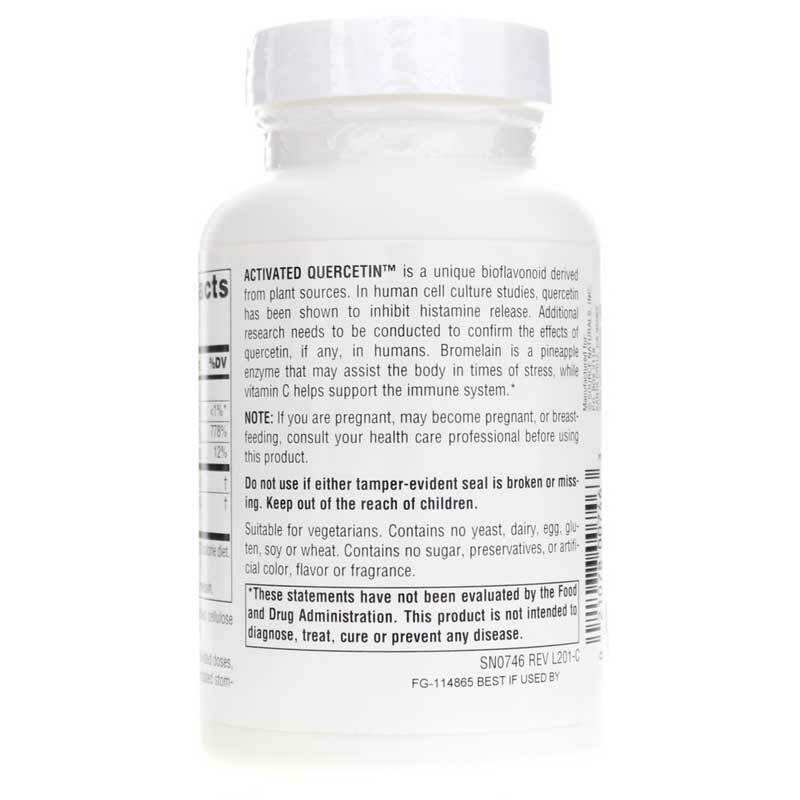 If you're looking for a natural supplement that helps you support healthy histamine levels as well as your immune system, check into Source Naturals' Activated Quercetin. Order online today! Contains NO: yeast, dairy, egg, gluten, soy, wheat, sugar, starch, salt, preservatives or artificial color, flavor or fragrance. Adults: 3 to 6 tablets daily in divided doses, between meals. If you have a delicate, easily irritated stomach, take with meals. If you are pregnant, may become pregnant, or are breastfeeding, consult your health care professional before using this product. Keep out of the reach of children. Busse, W.W., Kopp, D.E., and Middleton, E. (1984). +óGé¼+ôFlavonoid modulation of human neutrophil function.+óGé¼-¥ Journal of Allergy and Clinical Immunology, 73: 801-809. Middleton, E. (1981). +óGé¼+ôQuercetin: an inhibitor of antigen-induced human basophil histamine release.+óGé¼-¥ Journal of Immunology, 127: 546-550. Pearce, F., Befus, A.D., and Bienenstock, J. (1984). +óGé¼+ôMucosal mast cells: III. Effect of Quercetin and other flavonoids on antigen-induced histamine secretion from rat intestinal mast cells.+óGé¼-¥ Journal of Allergy and Clinical Immunology, 73: 819-823. Tarayre, J.P. and Lauressergues, H., (1977). +óGé¼+ôAdvantages of combination of proteolytic enzymes, flavonoids, and ascorbic acid in comparison with non-steroid anti-inflammatory drugs.+óGé¼-¥ Arzneimforsch. 27: 1144-1149.